Ronald Dean Wheatley (February 28, 2009) | Burmeister-Johannsen Funeral Home, Inc.
Ronald Dean Wheatley, the son of Alfred John and Doris Dorothy (Elwood) Wheatley, was born on January 14, 1946, on the family farm near Atlantic, Iowa. He graduated from AvoHa High School in Avoca, Iowa, in 1964. He was active in the Shelby County 4-H program. Ron attended Commercial Ext. in Omaha for two years; he then worked as a bookkeeper in Omaha, Nebraska, and Sioux City, Iowa. On November 2, 1968, Ron married Sally Irene Michaelsen at Salem Lutheran Church in rural Correctionville, Iowa. During the early 1970s, Ron’s natural talents led him to work in the area of floral design, and he was employed by Flowerland in Sioux City. In 1974, he moved his family to Fremont, Nebraska, where he worked as the Design Manager at Green’s Greenhouse. While in Fremont, he competed in floral design contests and earned a spot on the Nebraska Academy of Floral Design. Ron served as a guest designer on many floral design panels in the Midwest. In November 1977, Ron and Sally moved to Harlan, Iowa, where they opened Flowers By Ron, and later, Flowers Unlimited. Over the next 30 years the business served the Harlan community. He also worked briefly for Betty’s Flowers & Finishing Touches in Council Bluffs. In November 2005, Ron’s daughter assumed the family business. Due to poor health, Ron became a resident of the Salem Lutheran Home in Elk Horn, Iowa, in January 2007. Ron was a member of Immanuel Lutheran Church in Harlan, Iowa. He was a past member and officer of the Harlan Lion’s Club, the Harlan Chamber of Commerce, and the Nebraska Florist Society and Academy of Floral Designers. Ron especially loved his yard and flowers. His family was very important to him, and he enjoyed attending school events when his children were students. 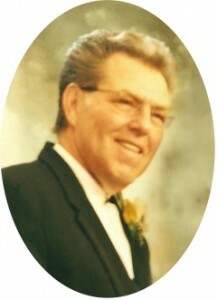 Ronald D. Wheatley died on Saturday, February 28, 2009, at the Salem Lutheran Home in Elk Horn, Iowa, at the age of 63 years, 1 month, and 14 days. Ron was preceded in death by his parents. He is survived his wife of 40 years, Sally Wheatley of Harlan, Iowa; two daughters, Andrea Jacobsen and her fiancé, Shannon Miller of Walnut, Iowa, and Megan (Jake) Fuhs of Shelby, Iowa; one son, Ryan (Stephanie) Wheatley of Estherville, Iowa; one brother, Donald (Cindy) Wheatley of Shelby, Iowa; one brother-in-law and sister-in-law, Mark & Priscilla Thraen of Earling, Iowa; three grandchildren, Hunter Wheatley, Abigail Jacobsen, and Maddysen Wheatley; nieces and nephews; and other relatives and friends. Funeral services were held on Wednesday, March 4, 2009, at the Immanuel Lutheran Church in Harlan, Iowa, with Pastor Steve Chellew officiating. Lisa Meyer and Diane Kastens served as the musicians. Honorary casket bearers were Anker and Alyce Rasmussen. Active casket bearers were Mark Thraen, Dan D’Arcy, Randy Ouren, Ron Herbold, Clark Ahrenholtz, and Marcus Mundt. Burial was in the Graceland Cemetery in Avoca, Iowa. The Burmeister-Johannsen Funeral Home in Harlan was in charge of the arrangements. Memorials may be made to Salem Lutheran Home in Elk Horn, Iowa, and Immanuel Lutheran Church in Harlan, Iowa. Condolences may be left online at www.burmeisterjohannsen.com. I did not know of your loved one’s passing in time to get to the funeral home. I wish to extend my sympathy to all of you and let you know I care. From 1st grade through High School and Sunday School Ron was a classmate and friend. Then it was every five years at our class reunion that we crossed paths. I’ll miss him. My condolence’s to family and friends. Sally and family my thoughts and prayers are with you at this time. I have given $25 to the Houston SPCA as a memorial to Ron. Andrea, Shannon & Abigail, We are so sorry for you loss. We’re thinking of you. Call if you need anything….anything at all.